Michael McDonald, Buddy Guy, Irma Thomas & The Professionals, Shemekia Copeland, The Blind Boys of Alabama, James Hunter, Coco Montoya, Tommy Castro and The Painkillers, Big Sam’s Funky Nation, Matt Schofield, Tad Robinson, Lil’ Ed & The Blues Imperials, Selwyn Birchwood, Nikki Hill, and George Porter Jr.
Jonny Lang, Trombone Shorty & Orleans Avenue, Great Southern, Tab Benoit, Rod Piazza & The Mighty Flyers, Curtis Salgago, Royal Southern Brotherhood (featuring Cyril Neville, Devon Allman, Mike Zito), Walter “Wolfman” Washington, Janiva Magness, Sugar Ray & The Bluetones, Eddy “The Chief” Clearwater, Lucky Peterson, Marquise Knox, Rosie Ledet & The Zydeco Playboys, and Dave Fields. Jimmie Vaughan, Tower of Power, Los Lonely Boys, Roomful of Blues, Delbert McClinton, Charles Bradley, Delta Groove Harp Blast featuring Mitch Kashmar, Al Blake, and Big Pete, James Cotton Band with Darrell Nulisch, Trampled Under Foot, Jimmy Thackery, The Mannish Boys, Johnny Rawls, The Alexis P. Suter Band, Toni Lynn Washington, Albert Castiglia, Eugene “Hideaway” Bridges. Jonny Lang, The Robert Cray Band, Irma Thomas, Tab Benoit & the Voice of the Wetlands Allstars, James Hunter, Rod Piazza & the Mighty Flyers, Curtis Salgado, Trombone Shorty & Orleans Avenue, John Cleary, Eric Lindell, Tommy Castro, The Lee Boys, Janiva Magness, Mike Zito, & Michael Burks. Kenny Wayne Shepperd, Jimmie Vaughan, JJ Grey & Mofro, Bettye Lavette, Magic Slim & the Teardrops, Shemekia Copeland, Lil' Ed & the Blues Imperials, Ryan Shaw, Joe Louis Walker, Sonny Landreth, Tad Robinson, Cedric Burnside & Lightnin' Malcolm, Reba Russell, Joanne Shaw Taylor, John Nemeth. Los Lonely Boys, The Robert Cray Band, Robben Ford, James Hunter, Walter Trout, Rod Piazza, Lucky Peterson, Tab Benoit, Janiva Magness, Nick Moss, Tutu Jones, Chris Cain, Billy Gibson, Tutu Jones, Tad Robinson, and Trombone Shorty. Delbert McClinton, Dickey Betts and the Great Southern, Kim Wilson, Jimmie Vaughan, Jimmy Thackery & the Drivers, Chris Beard, Denise Lasalle, Shawn Brown, Anthony Gomes, Deborah Coleman, John Hammond and the Wicked Grin Band, Keb' Mo', Sarasota Slim, Michael Burks, Kim Wilson's Blues Revue, Rod Piazza & the Mighty Flyers, Tribune to Little Walter featuring Kim Wilson and Rod Piazza. Roach Thompson, Tab Benoit, John Mayall, T.C. Carr and the Catch, Rhythm Review Lil' Ed & the Blues Imperials, Tinsley Ellis, Son Seals, Delbert McClinton, Backtrack Blues Band, Deborah Coleman, Coco Montoya, Rod Piazza & the Mighty Flyers, James Cotton. Each year since 1995, the Tampa Bay Blues Festival has been staged at scenic Vinoy Waterfront Park in downtown St. Petersburg, Florida. The park is located directly on the shores of Tampa Bay, with acres of plush grass and palm trees. Vinoy Park is the perfect tropical setting for one of the world’s greatest blues music festivals. The Blues Festival is an ideal setting to enjoy Florida’s sunshine and warm spring weather. For guests seeking an enhanced festival experience, we offer a special VIP Package with “front” stage seating, a large VIP tent with free food, beer & soda, and beautiful views of Tampa Bay. 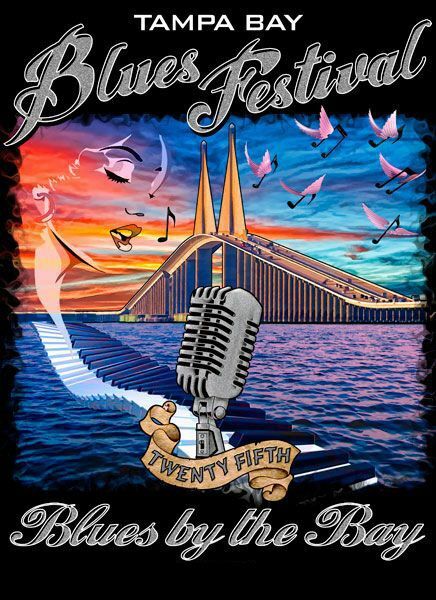 The Tampa Bay Blues Festival has established itself as one of the world’s preeminent blues music events, having presented over 250 of the world’s greatest blues performers. 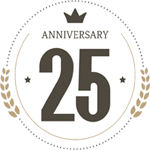 Past artists include such legends as Buddy Guy, George Thorogood, Taj Mahal, Robert Cray, Delbert McClinton, Little Feat, Jonny Lang, Los Lobos, Jerry Lee Lewis, Koko Taylor, Jimmie Vaughan, Irma Thomas, Susan Tedeschi, and others. The festival has truly become a destination event, with friends traveling from throughout the United States and Europe to enjoy Florida’s beautiful weather and this magnificent celebration of music. A state of the art PA system and lighting will be provided to insure the very best sound and entertainment. Throughout the festival grounds, you will enjoy tasty food, including seafood, barbeque, Cuban cuisine, and other culinary treats. Festival vendors also include arts & crafts. Premium beer and wine are also available. In addition to great music and warm weather, you will also enjoy visiting downtown St. Petersburg, with its many restaurants, clubs, and art museums, including the world famous Dali Museum. From St. Petersburg you may also wish to travel 20 minutes to the beaches of St. Pete Beach, Treasure Island, and Pass-a-Grille. The area’s Ft. DeSoto Beach offers a large, public park and was recently named one of the world’s finest beaches. The Tampa Bay Blues Festival prides itself on providing the very best in blues entertainment, in an ideal tropical setting. Proceeds from the event benefit our charity partner, Pinellas Association for Retarded Children. Please make your plans to attend the Tampa Bay Blues Festival, and join us for three great days of Blues by the Bay! © 2016-2019 Tampa Bay Blues Fest | All Rights Reserved.